More than a decade after a violent, unprovoked, racist attack in Romford left a teenager fighting for his life, the seventh and final man involved has been locked up. Today’s arrest and conviction of 43-year-old Alan Thompson, of no fixed abode, came nine years after six men were jailed for their involvement in the attack on St George’s Day, 2002. At 11 years, Thompson’s sentence for two counts of GBH and violent disorder is the longest of the seven defendants. It follows a 10-year manhunt that eventually traced him to a Rainham address in January this year. In October, a jury at Southend Crown Court unanimously convicted Thompson - who pleaded not guilty - on all counts. In a press release, Met Police said Darren Bagalo and his friend Farman Khan, both then 17, had been out bowling with family and friends on the night of April 23, 2002. They were walking through the town centre at about 11pm when a gang of men set upon them, punching, kicking and stabbing both in a sustained attack. Shocking CCTV images showed the seven suspects making Nazi gestures and salutes towards other passers-by moments before attacking the teenagers. Mr Bagalo and Mr Khan were rushed to hospital where they underwent surgery for serious stab wounds. Mr Bagalo’s injuries, which included stab wounds to the abdomen and torso and kicks to the head, were initially life-threatening, while Mr Khan had been stabbed in the arm. But thankfully, after months of treatment, both men made a full recovery. DS Ian Willett of Havering police said: “This was a vicious and racially-driven attack against two young men innocently enjoying a night out. “I would like to pay tribute to their undeniable bravery in overcoming their injuries and having to endure two trials over a lengthy period of time. Darren’s injuries were initially life-threatening and he was fortunate to survive. The 2003 trial judge praised the actions of three witnesses – a friend who tried to intervene to prevent the incident and two doormen working nearby who administered first aid to Mr Bagalo. Judge Kennedy said the doormen may well have saved Mr Bagalo’s life. The witnesses were each given £100 and later commended by the High Sheriff of London. 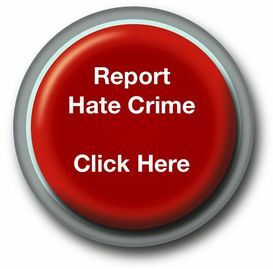 DI Willett added: “Hate crime will not be tolerated in any form and no stone will be left unturned to bring those responsible to justice.